Redemption is the 4th book in the Blood Bayou Romance Saga. 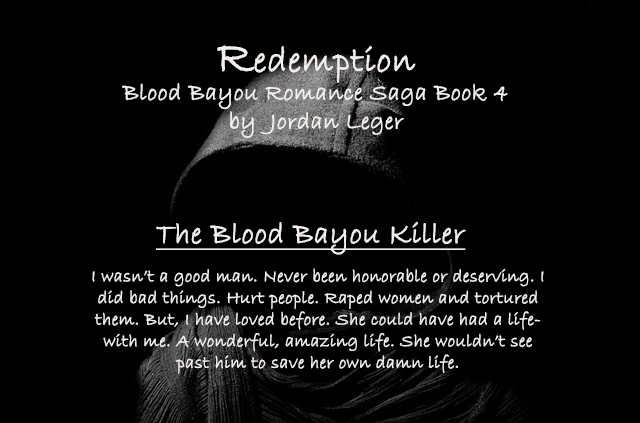 The story is based in Kinley Louisiana where women have been found killed and dumped near the local Bayou. And where there is murder there is tension. Join the Corbin men and their ladies as they crave some sort of normalcy in their lives again. 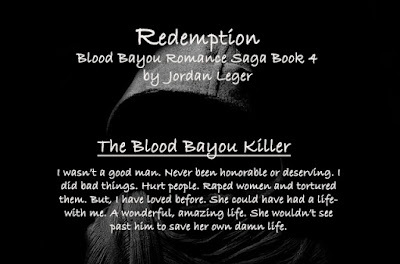 This book covers the story of Gwen, who was a victim that escaped her captor, the Blood Bayou Killer. And of course, Gwen’s amazing husband, Alex. But the tale is for from over as Gwen starts her recovering process. Her memory is slowly coming back due to her being drugged when she was kidnapped. Gwen’s background comes out more in this book along with her and Alex’s. So, get ready for a few tears, laughs, and heated scenes as Alex is there to help her through it all. 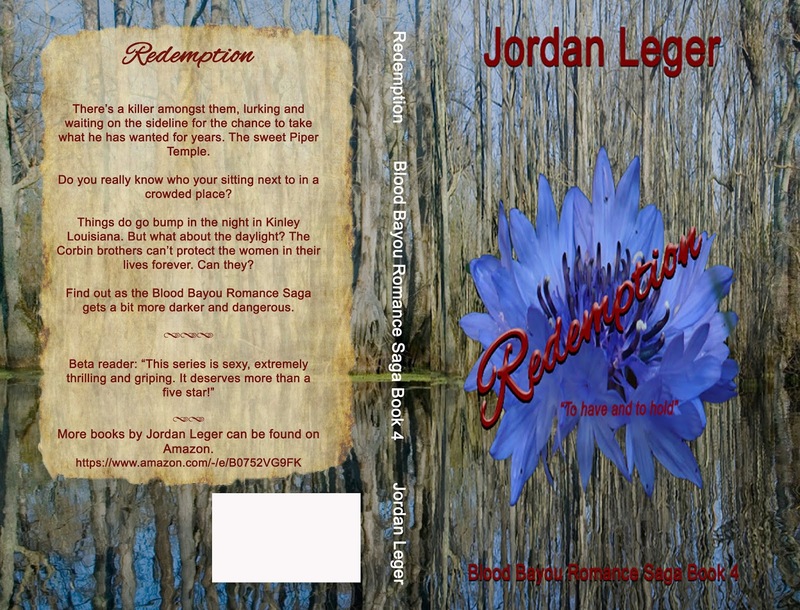 Redemption, as with the previous books in this saga, has explicit adult content. Some parts of the story my trigger flashbacks and hard for some to read due to kidnapping scenes and so forth. So, if you can handle heated scenes, read about a crazed killer and murder, and set to dive into Redemption, get ready then. Jordan started with a pen and paper and discovered her dream of writing. 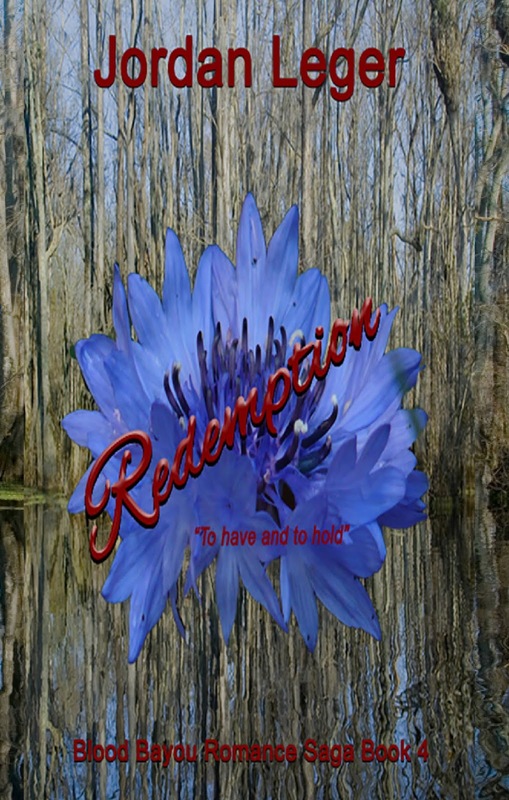 This southern Louisiana born lady, enjoys a good romance as much as she does writing them in her spare time. That is if she’s not hanging out with family and furry kids. She’s never forgotten where she came from. Her past is her encouragement.